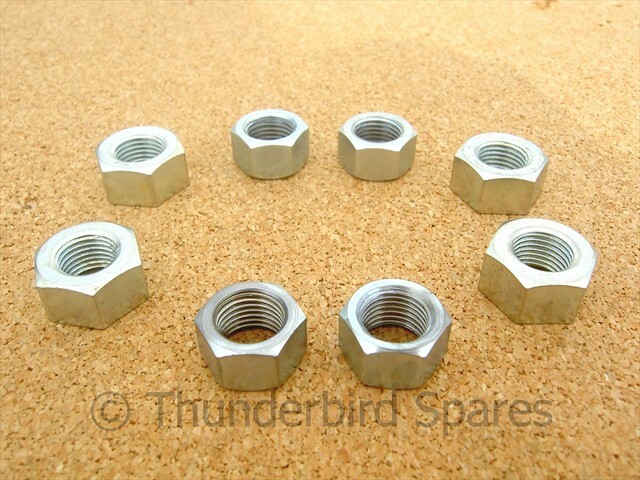 The set has the 4x inner reduced hexagon nuts and the 4x outer full hexagon nuts as fitted as standard. They are all 3/8 CEI thread form, they are bright plated steel as original. 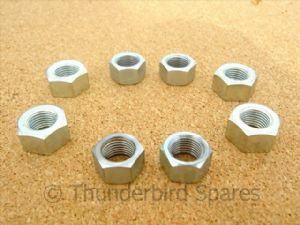 *Some late 1968 models used the new style 12-point nuts which were fully adopted for the 1969 model year but they still used a CEI thread rather than the UNF thread form adopted for the 1969 nuts. It is worth checking the thread pitch on your studs if you have a 1968 model before ordering (email if you need advice on this).